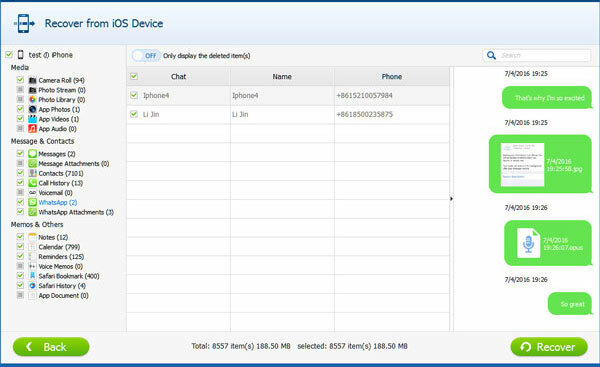 Home> Resource> iOS Recovery> How to Extract Deleted WhatsApp Messages from iPad Air? The Whatsapp is one of the best free instant messenger apps for smartphones which is quite popular around the world with millions of users to send text messages. Apart from text messaging, WhatsApp can be used to send images, videos, and audio media messages well. Installed in an iPad, it lets you see the conversations between you and your friends more clearly. As is often the case, you may tap the wrong buttons when you are using your iPad, which leads to the deletion of the WhatsApp messages. Some of them may be of great importance that you need to retrieve immediately, this article will deal with the issue of how to recover deleted WhatsApp messages on iPad easily. This WhatsApp Message Extractor is a multi-functional WhatsApp Recovery for iDevice users. With the assistance of it, you have the ability to recover not only WhatsApp messages or attachments, but also extract and restore other iPad data like videos, photos, contacts, messages, books, voice memos, notes and more on your computer. 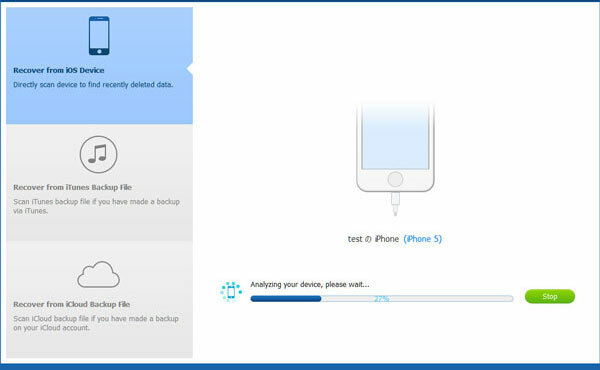 What's more, this program provide users with 3 different recovery modes: recover from iDevice, recover from iTunes backup or recover from iCloud backup. You can select one of them to retrieve iPad WhatsApp messages as you like. Now you can download the free trial Windows version or Mac version to have a try now. 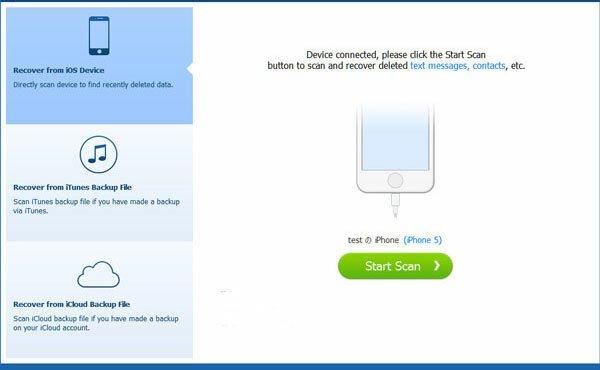 Run the software after installation and link your iPhone to your PC, and then enter the default mode "Recover from iOS Device". Have a brief look at the popped-up window as follows and then move to the next part. Check the folder of WhatsApp, and preview the deleted conversations, then you can click the "Recover" button to extract the deleted iPad WhatsApp messages to the computer. In addition to the lost WhatsApp messages, the software allows you to recover other data such as contacts, photos, videos, bookmarks and reminders and more. Both Windows version and Mac version are available at present. Download a free trial version below.